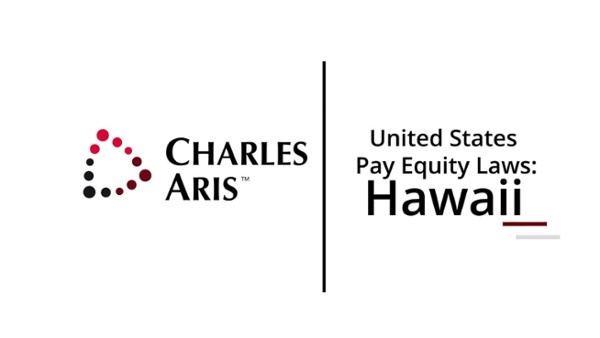 Marketing Coordinator at Charles Aris Inc.
On January 1, 2019, the state of Hawaii began enforcing its own salary inquiry and pay equity legislation, Senate Bill 2351. The law prohibits employers of all sizes from asking a prospective employee about or seeking information regarding an individual’s compensation history. Employers also may not consider or rely on compensation history in the negotiation of employment contracts (wages, benefits or other compensation) unless candidates voluntarily disclose their compensation history. Employers may also not search public records for an applicant’s salary history. Employers may inquire about a candidate’s compensation expectations and may disclose the role’s anticipated compensation range. Additionally, employers may not prohibit current employees from discussing their own compensation details. Hawaii joins California, Delaware, Massachusetts, Oregon, Vermont and Puerto Rico as states or U.S. territories which have enacted pay equity laws. In related news, Connecticut also passed statewide legislation that took effect on January 1, 2019. To learn more about salary inquiry and pay equity laws around the United States, visit CharlesAris.com/Pay-Equity-Laws. "Thanks, Charles Aris, appreciate your dedication in finding such great talent for us to select from." — The VP of Strategic Product Management for a Fortune 30 retailer, responding to an email informing him that Charles Aris Inc.'s candidate had just accepted the retailer's job offer.